If you are planning to learn web development using LAMP environment , and find it difficult to set up various component required, XAMPP can come to your rescue. In fact, XAMPP is a prebuilt package with following componets, Apache,MySQL, PHP and Perl. 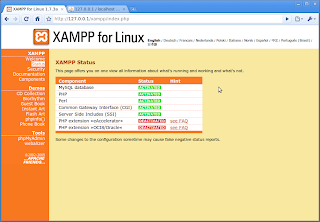 You can download the XAMPP package from Apache Friends website. The present release is available for a variety of operating systems. I decided to install xampp into /opt . Untar the downloaded file using the following command. 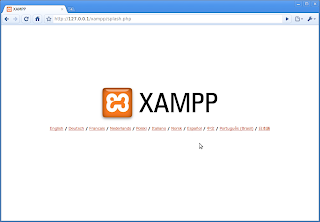 Earlier, the name of XAMPP project was LAMPP . Hence a folder named LAMPP will be created under /opt with all necessary files. Look for any error messages while running the commands. Now open up a browser and browse http://127.0.0.1 The following screens will appear . You can access phpmyadmin from the tools section and work with mysql. Now you can create a folder named public_html in your home directory. Now you can link this folder to your apache document root as below. You can write your HTML/php code using any editor and save it under public_html folder in your home directory. You can test your code by browsing to http://127.0.0.1/yourusername. ( Replace yourusername with your actual user name). It is not advisable to set up XAMPP to a machine directly connected to internet. 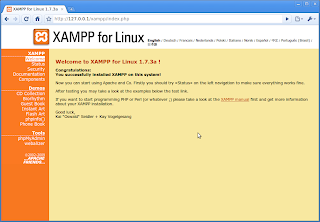 The XAMPP is designed as a beginners platform to learn LAMP. If you want to run a production system look else where for a secure installation of LAMP. When you launch it , you get the following screen. 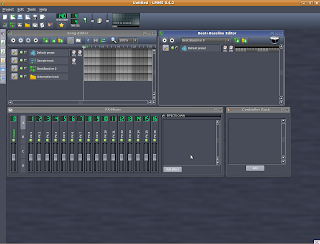 LMMS offers the following features. If you are looking for a good tutorial on LMMS see this video. Wormix is a clone of classic arcade game worm. 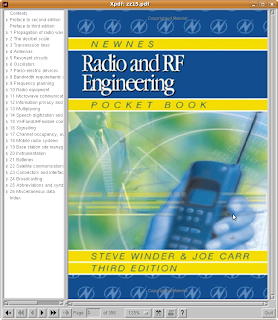 It is under active development under a free licence. Recently, wormix project has released version 0.9.1 of this beautiful game. 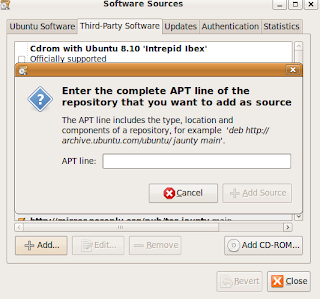 It is available for ubuntu on a PPA. You can try out wormix installing it from PPA. Then update the packages and install wormix. A demo of wormix can be seen on the following video. Clamav is the most popular free anti virus program for Linux environment. ( Of course it scans for widows virus) However, clam is a command line utility and you need some skills for manipulating is properly. There are several graphical front ends for clam av which can make your life easy. The most popular among them are clamtk and Klamav. 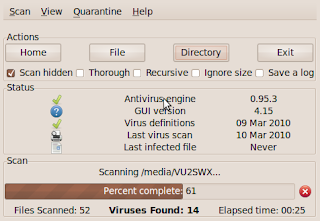 On Karmic it showed up as virus scanner under Applications ->system tools. You can select for single user settings or system wide settings and then click save. The main window of clamtk will pop . You can choose either your home folder , a file or a specific directory for scanning. When the scan is completed a list of detected viruses will be shown. You can select individual infections and right click on them to delete or quarantine. 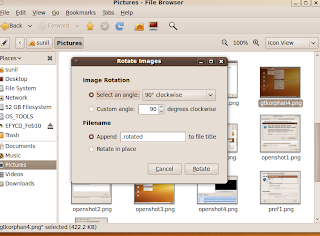 Nautilus image converter is a nautilus extension to mass resize or rotate images. if installed an additional menu entry will appear when you right click the mouse inside nautilus. It is a convenient utility which can save you lot of effort. For installation on ubuntu. do the following. 3) Logout from the current session and login again. You can rotate or resize the image as seen in the screen shots below. on your system. 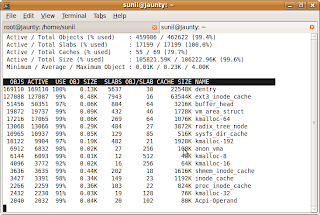 Similarly io can be a bottleneck in proper system performance. You can watch various parameters if you install sysstat package. * sadf - displays data collected by sar in various formats. 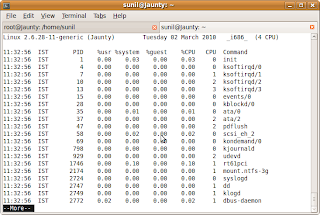 See the screen shot of iostat command run from a terminal. You can use pidstat to display detailed information on processes. See the screen shot below. with the amount currently being used. 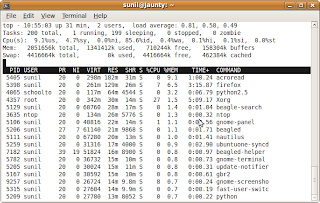 The top command provides a means of watching the currently running processes, along with their memory usage. provides ongoing monitoring, you can watch memory usage change every three seconds (by default). displayed in memory-use order (so you can watch which processes are consuming themost memory). See the screen shot above. The most useful column to analyze a process’ memory usage is RES, which shows the process’ actual physical RAM usage, also known as resident size. The MEM column is based on this resident size. You can look at the man page of top for more information. 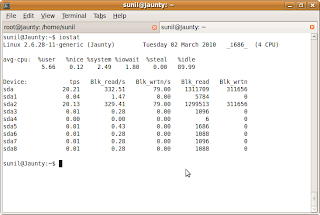 This command gives you virtual memory statistics. You can view memory use over a given time period. The following out put gives you vmstat every 5 seconds. The out put is printed every 5 seconds. To exit vmstat, press Ctrl+c. T$ vmstat -S m Display output in 1000k megabytes. You can try loading several applications and watch how the vmstat output changes . The slab memory cache information shows each cache name, the number of objects active for that cache type, the total number of objects available for that cache type, the size of the cache (in bytes), and the number of pages for each cache. You can also use slabtop , similar to top to display the kernel slab info. The slabtop output updates every three seconds. By default, slab caches are sorted by the number of objects (first column) in each cache. By pressing c you can sort by cache size instead. 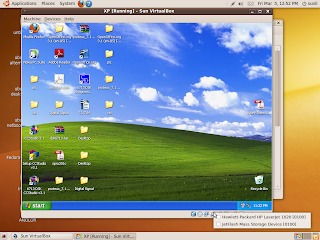 I use virtual box on my Ubuntu 9.10 box to run windows XP. ( I use it for some EDA tools like Proteus ). 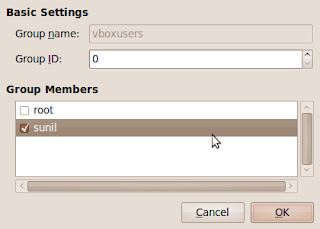 This morning Virtual Box prompted me to upgrade to version. 3.1.4 and I upgraded it . When I tried to put my Usb Flash drive in the guest OS , the drive was shown grayed as in the screen shot below. I searched the net for a solution and finally did the following steps to fix it. Click on the Key button near"click to manage "
Click on properites and tick your username. Now restart the computer. Next time when you start the machine your flash drives will be visisble.. Some beautiful fonts from the mac world is available at http://ubuntu-debs.googlecode.com .You can install them to your ubuntu and enjoy the new fonts. Download the fonts in a terminal . Google picasa is one of the best photo album managers available for windows and linux. Also, google provides web based album services. 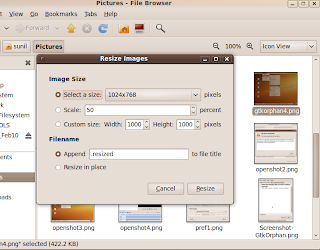 On ubuntu you can install picasa ( latest version is 3.0 beta) as detailed below. Click on third party software. Add the following apt line. Click on add source and then close . System will ask you to reload the source. Do it. Open a terminal and import the google apt-key as below . The latest picasa 3.0 offers the following features. You can sync your Picasa 3 and Web Albums edits, change your online album settings from Picasa, and delete online albums from Picasa. User data are now stored in ~/.google/picasa/. picasa:// urls work in Firefox 3. Downloading albums from Picasa Web Albums launches faster. Bleach bit is a utility which can free disk space, removes hidden junk, and easily guards your privacy. It can erase cache, delete cookies, clear Internet history, remove unused localizations, shred logs, and delete temporary files. 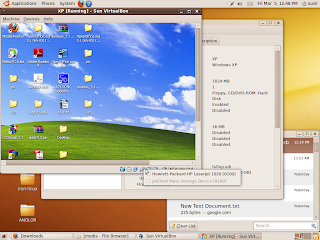 It supports around 70 applications and can be installed on windows and linux. On ubuntu bleachbit is available on the repository. However, it is a nice idea to look at the bleachbit website for any new versions. On my system running ubuntu 9.04 , two menu entries were added under Applications->system tools- Bleachbit and Applications->system tools- Bleachbit (root). If you launch it for the first time you will get the following screen. This allows you to select the desired language also. You can select junk data from various programs on the left pane. You can even preview the data before deleting it. On linux distributions we commonly see files named tar, tgz, tar.gz and tar.bz2. This note tries to explain common operations on such files. To create a tar archive , the following command can be used. If the tarball has also been gzipped (compressed), the file will be named tar.gz or tgz .You can use the following command to extract it. If you want to create a tgz as below. If you want to create a tar.bz2 as below. 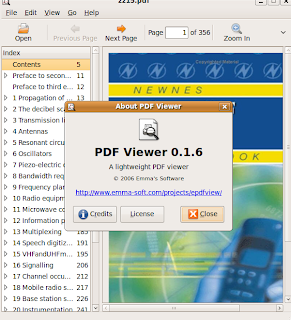 Five Free PDF viewers for Ubuntu. Portable document format is one of the most popular file formats on the web. Of course Adobe is the market leader for PDF. However, there are lot of free alternatives around. 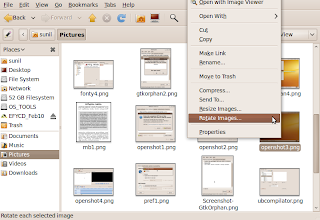 Here are some free pdf viewers for ubuntu. Evince is installed by default on the ubuntu desktop. 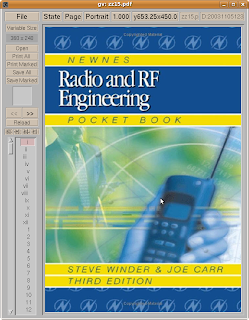 Xpdf is an open source viewer for Portable Document Format (PDF) files. Xpdf project also includes a PDF text extractor, PDF-to-PostScript converter, and various other utilities. 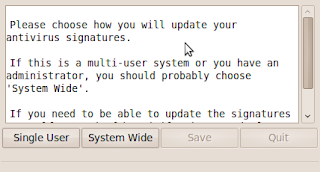 This is from the kde stable . Okular is a universal document viewer based on KPDF for KDE 4.
epdf viewer is lightweight pdf viewer based on poppler libs. 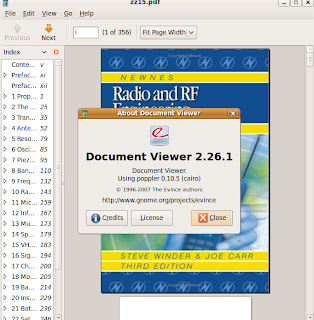 The aim of ePDFView is to make a simple PDF document viewer, in the lines of Evince but without using the GNOME libraries.